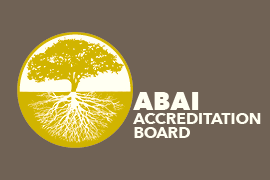 Site visitors play a vital role in helping the board determine whether applicants for accreditation meet the ABAI Accreditation Board standards. Site visitors' responsibilities include reviewing self-study documentation, collecting data relevant to the standards during an on-site visit, and collaborating to submit timely site visit reports. Faculty member in a ABAI Accreditation Board accredited program. ABAI Fellow, including emeitus professors, with a university or college affiliation. Current or past Full member of the ABAI Executive Council with a university or college affiliation. When bilingual site visitors are needed for non-English-language programs, site visitors must be senior behavior analysts at universities and Full members of ABAI. A professional translator may be provided at the expense of the applying program. Review the Site Visitor Training Manual. Review the guidelines for site visits. Submit a site visitor attestation form. Submit a résumé or CV (in the attestation form) or via email to the ABAI Accreditation Board. Site Visitor Training is offered at the ABAI Annual Convention or you may access it online. Please direct questions to abaiaccreditation@abainternational.org. The ABAI Accreditation Board recognizes that site visitors are volunteering their time to help advance the field and support the organization. The board is committed to doing our best to work with site visitors' schedules to keep response effort minimal and infrequent. Site visitors are responsible for familiarizing themselves with the confidentiality of records policy in the Accreditation Handbook. Per this policy, information obtained in the accreditation process and pertaining to the ABAI Accreditation Board's actions is confidential and is not shared with third parties, other ABAI Accreditation Board program members, the press, or the public, except as authorized by a program or as required by these rules, government regulations, judicial or administrative process, and other legal requirements.